Actor and comedian Leguizamo is a Columbian raconteur who started in stand up and branched out into television and film. His personal life and experiences are the source of his comedic work. He is a fearless entertainer and a masterful wordsmith, who not only obviously values education but also basks in the light it provides. 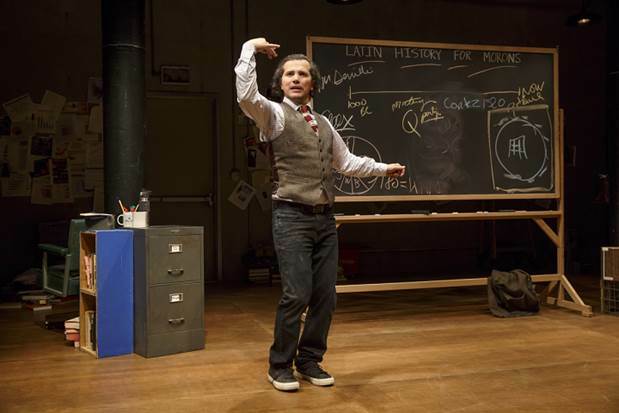 This producer, screenwriter, playwright, and now self-taught teacher of Latin history is also well credentialed. 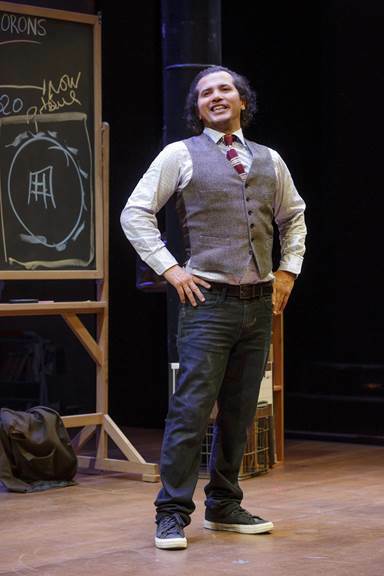 He has won two Obie’s, three Drama Desk awards, three Outer Critics Circle awards, one Emmy, and six Cable Ace awards for his troubles. 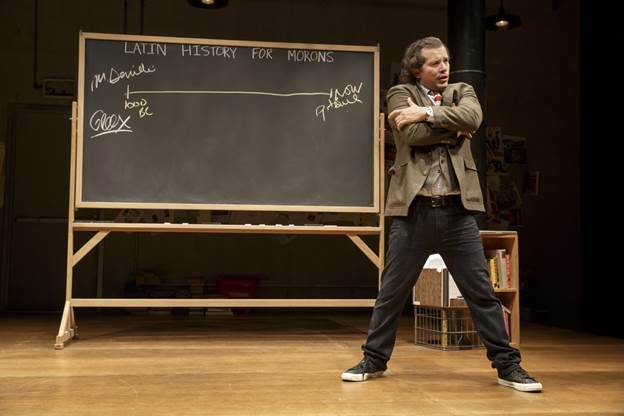 Leguizamo needs to make room on his shelf of accomplishments because Latin History For Morons is a powerful, and powerfully funny lecture that should once again garner awards for its creator and professor.